IndiVine Post: Ring The Bell ~ "Change"
"Laws alone are not enough. Ring The Bell believes in the power of individual and collective action to challenge the habits, norms, and cultures that perpetuate violence. One person adds up to one million; one million acts add up to change. 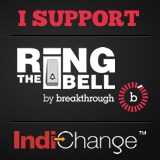 You can be a part of the change by telling us how YOU will Ring The Bell, and inspiring your readers to do the same. What action will you take to bring violence against women to a halt? Blog about your experiences, your intentions, and make a promise!" "Be the change you wish to see in other people"
Quite honestly, I tend to agree with him on this account. 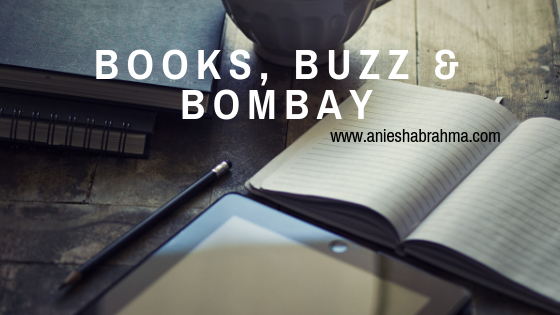 Complaining and cribbing would get us nowhere. Sure, we can all try playing the blame game but we'll lose a precious few hours from our hands if we indulged in it. Remember the scene in Swades where Shah Ruk Khan's character tells the village heads all they can do is blame each other, but the loser is always those who do not have access to money or education. In other words, those people who are living below the poverty line. If only we would stop for a minute and think about is it, which has corrupted the very roots of our society, we would realize that it is the lack of education which has led to this very sorry state of affairs. At the beginning of this year I was very inspired by an advertisment I had seen. It was aimed at the youth, asking to join a movement: Teach for India. The basic idea which thrived throughout this fellowship was to provide quality education to those children in underdeveloped schools, and slum areas...because they figured out what the problem was. When we calculate in percentages, the figures seem to be within our grasp. But the real numbers have been absolutely beyond our comprehension. Sitting through the interview at Teach for India was one of the most bizarre experiences of my life. Yes, I wanted to be a fellow and yes, I wanted to get selected. But I felt so weird...despite all their best efforts, and all their resources, it just didn't feel right to me. Of course I appreciate their work, and one of my friends is presently a fellow with them, but for me, I needed to find something more. Something which would let me express what I was truly feeling when I watched those slides sitting in an air conditioned hall. And then there was the Gandhi Fellowship. Which truly believes in working in the social sector and developing the schools and other projects as well. One of my friends just finished his fellowship there and another is about to join them. She was an youth volunteer for UNICEF too, and before writing this blog post, we spoke about the issues which presently plague our country. I asked her why is it that child marriage despite being abolished so many years ago, is still being practiced in vogue even now? And she said, it's just due to the lack of education. The parents tend to think by marrying off their daughters early, they can wash their hands off their responsibility...what they don't realize is, early marriages lead to early childbirth and in most cases, the young mothers do not survive. And we may think that this only happens in the far flung villages of our country, but the truth is, it actually happens right under our noses. We are either to self-absorbed or too ignorant to even notice that. I still remember the time I was thoroughly bored with school, and our cook's daughter was so interested to find out what was printed in the pages of the books I had taken for granted. Funny isn't it? The ones who are given an education without asking for one, seem to resent it. Till we grow up and realize we need a foundation to build ourselves. And a solid education gives us just that. 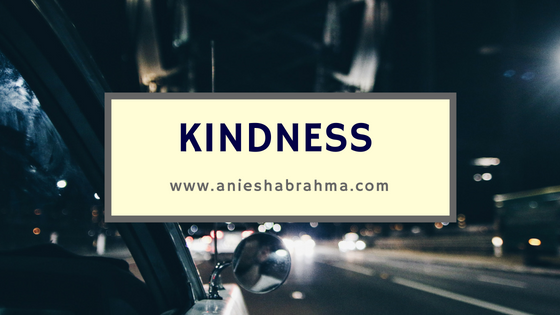 When I was in school I had volunteered for Help Age India, not quite realizing that I was helping many a number of aged widows (and widowers) whose own children had shut the door on their faces. My volunteering work resumed during the time I was in college, because then I knew how to access the NGOs which helped those who needed it the most. Although I had a blog for quite sometime now (2008 on wards), I had no idea what a powerful medium it can be to help bring about change. But the change always should start from ourselves. Before I am able to stop a woman being harassed by her husband in another village, I need to be able to defend the woman who lives right next door and endures abuses from her husband. Every child I come across, I would tell them the same thing my mother told me. Learn to be financially independent, that way no one will ever dare to bring you down. The only reason these women silently suffer at the hands of their merciless husband, is because they are not financially independent. And that financial insecurity stems from not having a proper background education. Yes, we have domestic helps. But aren't these "helps" capable of doing more than just that? True, life will become a little difficult for those of us, who are not used to even making our own beds. But can you imagine the change that will take place? My intention is to tell every girl I meet to grow up to be a strong and independent woman. I shall teach by example of course, because I sincerely believe in being the change that I want to see all around me. I am already halfway there, showing those dear little kids I tutor for free, and talk to whenever they want, that life is meant to be enjoyed. They are free to be whoever they want to be. And there's is one person who will stick by their side no matter what happens: themselves! I promise to Ring the Bell, to bring forth a lovely future for all those dear children who will see life through a very different pair of eyes. Their life isn't one of misery and struggle, and they will go places and live all their dreams. "Because these things will change, can you see it now? The walls that put us up to hold us back will fall down. It's a revolution, the time will come for us to finally win. 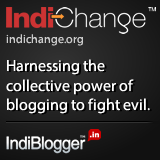 This post has been written for IndiBlogger.in for the Bell Bajao campaign.